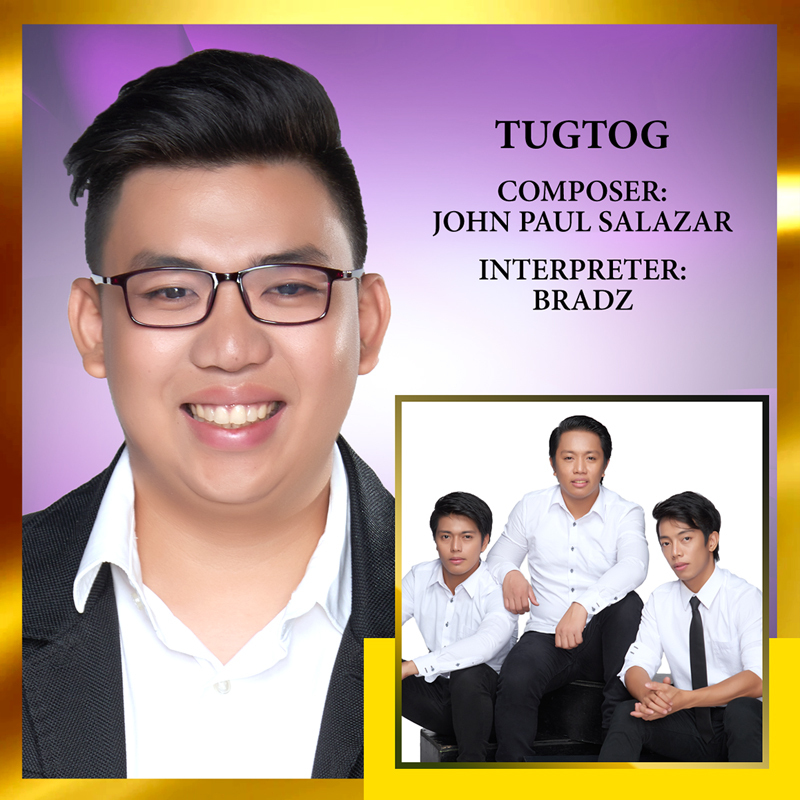 Proving that passion knows no bounds, visually impaired composer John Paul Salazar penned his original gospel composition “Tugtog”. Inspired to write something out of his heart despite suffering from blurry vision due to stage 3 glaucoma, he turns to music as it helps him heal in a passionately life-changing way. Songwriting has become his hobby since his condition compels him to stay at home for most of the time. Though troubled at times by his condition as he has difficulty seeing what he writes down, he still spends time composing songs, memorizing them word by word. With its contemporary sound and rich imagery, the worship hymn reflects his heart filled with music and overflowing vitality and happiness. OPM trio Bradz is set to perform the gospel song.